The busiest, most successful people in the world find at least an hour to learn everyday. 1. Identify valuable knowledge at the right time. 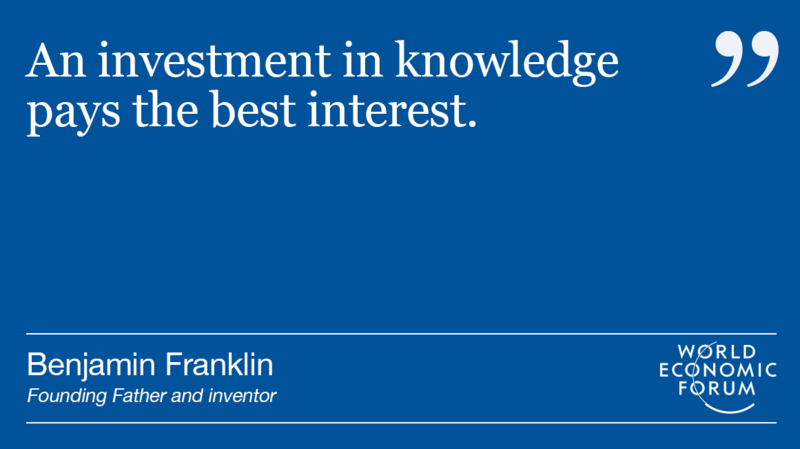 The value of knowledge isn’t static. It changes as a function of how valuable other people consider it and how rare it is. As new technologies mature and reshape industries, there is often a deficit of people with the needed skills, which creates the potential for high compensation. Because of the high compensation, more people are quickly trained, and the average compensation decreases. 2. Learn and master that knowledge quickly. Opportunity windows are temporary in nature. Individuals must take advantage of them when they see them. This means being able to learn new skills quickly. After reading thousands of books, I’ve found that understanding and using mental models is one of the most universal skills that everyone should learn. It provides a strong foundation of knowledge that applies across every field. So when you jump into a new field, you have preexisting knowledge you can use to learn faster. 3. Communicate the value of your skills to others. People with the same skills can command wildly different salaries and fees based on how well they’re able to communicate and persuade others. This ability convinces others that the skills you have are valuable is a “multiplier skill.” Many people spend years mastering an underlying technical skill and virtually no time mastering this multiplier skill. 4. Convert knowledge into money and results. There are many ways to transform knowledge into value in your life. A few examples include finding and getting a job that pays well, getting a raise, building a successful business, selling your knowledge as a consultant, and building your reputation by becoming a thought leader. 5. Learn how to financially invest in learning to get the highest return. Each of us needs to find the right “portfolio” of books, online courses, and certificate/degree programs to help us achieve our goals within our budget. To get the right portfolio, we need to apply financial terms — such as return on investment, risk management, hurdle rate, hedging, and diversification — to our thinking on knowledge investment. 6. Master the skill of learning how to learn. Doing so exponentially increases the value of every hour we devote to learning (our learning rate). Our learning rate determines how quickly our knowledge compounds over time. Consider someone who reads and retains one book a week versus someone who takes 10 days to read a book. Over the course of a year, a 30% difference compounds to one person reading 85 more books. Instead of doing that, Ben decided to change his daily work schedule. He shortened the number of hours he worked on his to do list in order to make room for his learning ritual. Keep in mind that Ben oversees over 200 employees at his company, The Shipyard, and is always busy. In his words, “by working less and learning more, I might seem to get less done in a day, but I get dramatically more done in my year and in my career.” This wasn’t an easy decision by any means, but it reflects the type of difficult decisions that we all need to start making. Even if you’re just an entry-level employee, there’s no excuse. You can find mini learning periods during your downtimes (commutes, lunch breaks, slow times). Even 15 minutes per day will add up to nearly 100 hours over a year. Time and energy should not be excuses. Rather, they are difficult, but doable challenges. By being one of the few people who rises to this challenge, you reap that much more in reward. The busiest, most successful people in the world find at least an hour to learn everyday. So can you! 1. Find the time for reading and learning even if you are really busy and overwhelmed. 2. Stay consistent on using that “found” time without procrastinating or falling prey to distraction. 3. Increase the results you receive from each hour of learning by using proven hacks that help you remember and apply what you learn.